The TNO Gastro-Intestinal Model is a functional artificial gut that helps scientists understand the performance of potential new medicines. The old saying “you are what you eat” may not be strictly accurate, but like many a timeworn adage, it holds a kernel of truth. For example, while eating a high-fat diet may not necessarily make people fat, the amount and type of fat in their diets still influences their overall health. When people think about the relationship between eating and health, however, they rarely consider how their dietary habits could affect the medications they take. Many common medications come in tablet, capsule or liquid form. That means they’re taken orally and typically are absorbed through the digestive tract. Digestion is, by its nature, a transformative process designed to break down what we eat—so it makes sense that the digestive process could impact medication. The TIM-1 stomach pushes food forward and back to stimulate the mixing movement of digestion. How can scientists be sure a medication remains both safe and effective as it moves through the digestive system? And how does what a person eats or drinks affect the medication? One way to answer these questions is by running experiments on a medication using the TNO Gastro-Intestinal Model, affectionately known as TIM. A functional artificial gut, TIM is divided into two segments. The first, called TIM-1, simulates the stomach and small intestine, while TIM-2 is an artificial large intestine. Controlled via computer, TIM is designed to mimic a real digestive tract. For the past six years, Pfizer has been active in the Innovative Medicines Initiative OrBiTo programme, a collaboration among pharma, academic researchers, and specialist technology companies along with the Swedish regulatory authority to develop the next generation of technologies to better predict the performance of oral medicines. Through this collaboration, Pfizer scientists developed an understanding of how the TIM-1 system can be used to study tablet and capsule performance in clinically relevant states. When researchers “feed” TIM-1 a meal, the food first enters TIM’s stomach, where it is mixed with gastric acid and digestive enzymes, just like in a human stomach. For added reality, TIM also pushes food forward and backward in its stomach to simulate the mixing movement that many of us undoubtedly remember after overeating last Thanksgiving. TIM-1 then sends the contents of its stomach down through its small intestine, where sodium bicarbonate reduces the acidity of the contents and additional enzymes break down the fats and carbs from the meal. Throughout the process the digested products are removed, similar to a real small intestine, meaning that TIM goes through the same dynamic processes a person does after eating. The flexibility that TIM provides allows scientists to test a variety of scenarios that might be difficult to assess in a human digestive tract. For example, some people tend to have more acidic stomachs depending on their genetics and diet. These differences in stomach acidity can mean that certain medicines are not absorbed as well in particular patient populations. Because TIM’s stomach acidity is easily changed by researchers, they can run experiments that help determine how effective a medicine might be when given to people with more or less acidic stomachs. TIM can also be set up to run tests that would be impossible to do with humans. 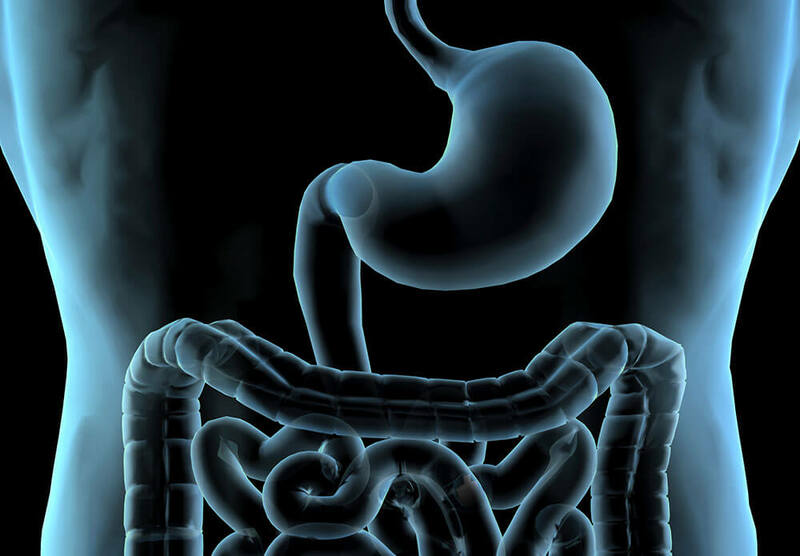 Researchers might want to know what happens at the point a medicine is moved to the small intestine from the stomach during a process called gastric emptying. Does the medicine work differently if it spends one hour versus two hours in the stomach before moving to the small intestine? If a medicine has been made with a protective coat designed to allow it to remain intact in the stomach, knowing what happens to the medicine when it sits in stomach acid for a couple of hours can provide clues as to how well the drug might work. "TIM (such as the TIM-1 dialysis above) opens up an entirely new world of experiments that we can undertake. It’s truly incredible," says Tomaszewska. TIM can also be used to assess the risks associated with taking a medicine together with certain types of food or alcohol. While some combinations of food, drink and medicine could be dangerous for human subjects, TIM is literally able to consume any combination imaginable. Because of TIM’s flexibility, programmability and endless appetite, it’s an invaluable tool when it comes to testing medicines designed to be taken orally. TIM is an important tool in satisfying the researcher’s hunger for better data about the performance of potential new medicines.